There is a placemat for general use throughout the topic. The placemats are a useful addition to every lesson, getting pupils familiar with keywords and important information about the topic. They can be printed off, and ideally enlarged to A3 and.. There is a mind map for general use throughout the topic. 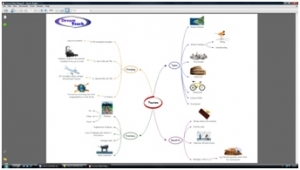 The mind map helps pupils to see the big picture throughout the topic.